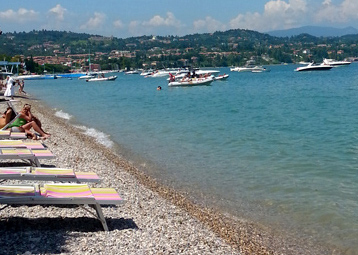 Style & Relax is located in the stunning setting of Desenzano del Garda. The nine elegant and comfortable flats of the Style & Relax Residence are located in the enviable location considered the capital of Benaco: Desenzano del Garda in the province of Brescia. The residence is the ideal location for relaxing, even though it's only a 5 minute stroll to the lively centre of Desenzano where you will find many opportunities for entertainment, culture, shopping and interesting proposals for your leisure. Desenzano del Garda is doubtlessly an excellent starting point from which to discover everything the unmatched Lake Garda has to offer. Well-appointed beaches just a stone's throw from the historic centre. The Style & Relax Residence is only a stone's throw from the Spiaggia d'Oro beach where you can enjoy the sun and beauty of the lake The lido is very well appointed: bar, restaurant, toilets and equipment for rent. Love shopping? You're in the right place. 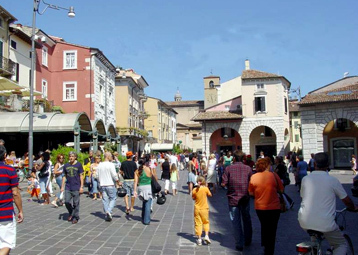 Desenzano del Garda offers a broad selection for those who love shopping. Aside from the many shops in the historic centre, you can continue shopping in the fashionable malls and outlets the area has to offer, for clothing, home furnishings, speciality foods, sports equipment and much more. Lovers of antique furniture and high-value items can take advantage of the antique market that takes place in Malvezzi square the first Sunday of every month or visit the shops showcasing antiques and modern antiques that line the alleyways of the historic centre. Night life and fun in the tourist capital of the province of Brescia. 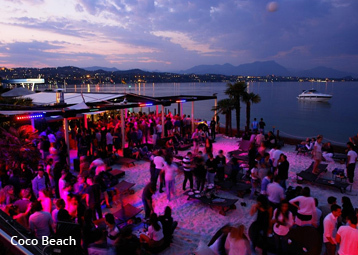 Desenzano is unquestionably the centre of summer night life in the province of Brescia thanks to its many enogastronomy restaurants, many night clubs and many organised events. Many events enliven the evenings of the historic centre with live music, shows and fun events. 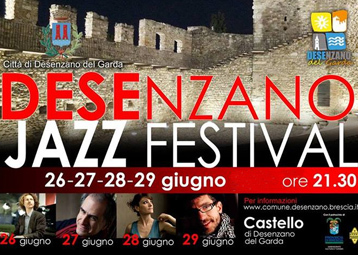 In summertime Desenzano and its nearby hamlets also propose many town festivals perfect for lovers of typical local products. Night life revellers have a plethora of night clubs to choose from to which hundreds of people flock nightly from all over northern Italy. The particularly lively night life in summertime doesn't wane even in wintertime. Art and culture of a unique area. 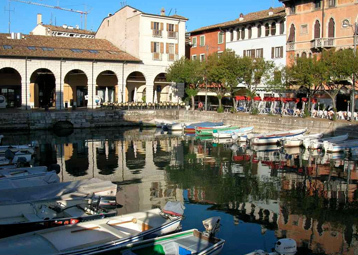 Desenzano is an area rich with history: from the Veneto archaeology and architecture of the 1500s to the palazzi of the 1800s. The Giovanni Rambotti archaeology museum showcases various remains dating back to the Bronze Age, but also a rich collection dedicated to the Roman, medieval, and modern ages. Another important element that unquestionably characterises the history and architecture of the town is the castle, built in medieval times, which nowadays provides an ideal setting at which you can enjoy live shows in the summer. Desenzano del Garda is also one of the symbols of the Italian Risorgimento, the unification of Italy; a 64 m newly restored tower commemorates the soldiers fallen for the independence and unification of Italy in the 1859 battle in the hamlet of San Martino della Battaglia. 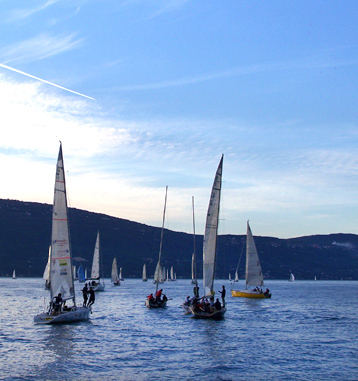 Outdoors activities and equipped facilities: sports are at home in Desenzano. sailing, windsurfing, and all water sports. The Style & Relax Residence also has an internal fitness area for staying in shape without even having to leave home.